In today’s world it is easier to imagine Robots walking or crawling but it would be much be much better if they can ride a bicycle! . 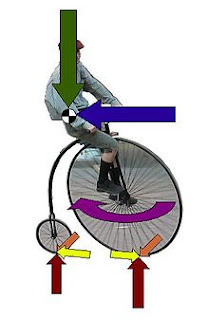 This is possible in various ways but the only solution which pumps in my mind is Self Balancing Bicycles.A self-powered unicycle that balances itself in three dimensions, is an interesting problem in robotics and control theory.The concept is similar to what we use in Segway. IIT Madras studenst tried to build self balancing , self driven bicycle as there final year project (shown in Video below).It would be great project idea for students of Robotic and Mechanical Engineering. A microcontroller board from BDMicro featuring the Atmel AVR Mega 128. $125. A gyroscope and acceleromoter by Rotomotion. $149. The OSMC motor controller by Robot Power. $199. 40 NIMH cells, made into nice packs by Robot Marketplace. $218. The Whyachi TWM3M gearbox. $345. 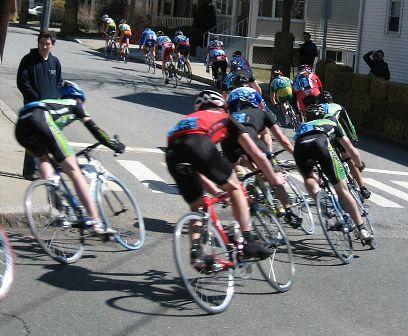 A 16-inch bicycle rim with spokes. $35 from your local bike shop. 100 psi tire, which makes turning slightly easier. A GT2 5 mm pitch belt, and 28 and 72-tooth pulleys.$21, $26 and $14. A guard for the upper pulley, machined from black Acetal plastic. Some spacer bushings to center the wheel. A combination dead man’s switch and key. $12. How to build your own? Watch Self Balancing Motorbike on How Stuff Works Video section. How to build a Segway ?